NUVO Limousines have already taken bookings for school prom limos for dances in April & June. Eager parents are making sure that their children are able to get the Newton Mearns stretch limo that young people now demand as part of their celebration of their final days of school. 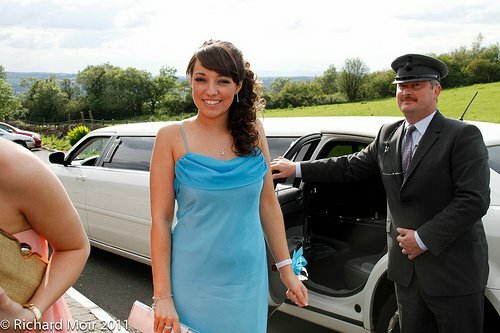 The prom dance would not be complete without the prom dress, the corsage, the tuxedo or kilt and "Arriving in Style" by stylish Newton Mearns stretch limousine. Young people are getting organised to mark the end of High School and are eagerly checking out limousine hire Glasgow and limo hire Glasgow for their chauffeur driven Chrysler stretch limousine (nicknamed by many, the " Baby Bentley "). NUVO Limousines have their white Chrysler 300c stretch limo primed and ready to transport prom dance clients to the venues throughout Central Scotland and the West of Scotland. The modern & sleek looking white Chrysler stretch limousine is now considered to be 1st choice limousines in Glasgow because of its regal and elegant approach, topped with executive style. In 2012, the demand for limousine hire Scotland will again outstrip demand. NUVO Limousines advise people to book early to make sure they get their first choice limos Newton Mearns. You both look great in your prom dress. If you are looking for the limo service then, book Shuttle From Denver to Vail for the private traveling. 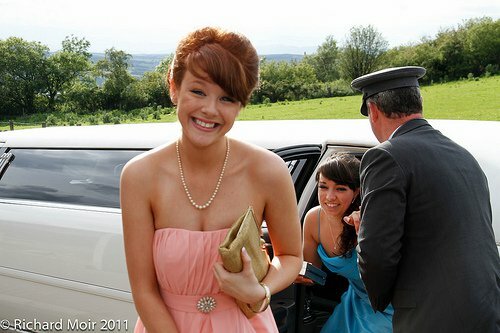 Looking for the limo service at the wedding occasion then, you can easily hire the Luton limo hire on any of the occasion.